Are you tired of looking like the bride of Frankenstein each time you blow-dry your curly or wavy hair? If so, you’ve clicked on the right link. We will show you how to blow-dry curly or wavy hair like a Pro. 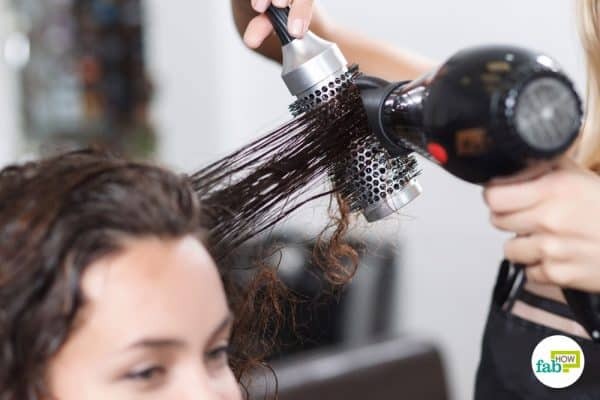 While your curly or wavy hair gives you extra volume, it can prove to be an absolute nightmare when it comes to blow-drying. Each strand seems to stick out and in a different direction no less. When it comes to shampoos, conditioners and hair masks, choose those that are specially formulated to suit curly or wavy hair. It is always best to use a leave-in conditioner, as it protects your curls and keeps them well-set and glossy for a longer time. 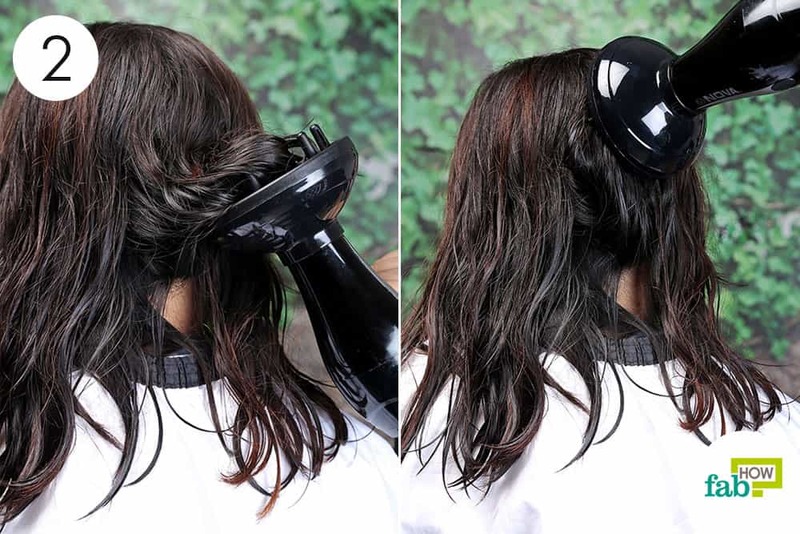 Always use a diffuser attachment while blow-drying to minimize heat damage and frizziness. 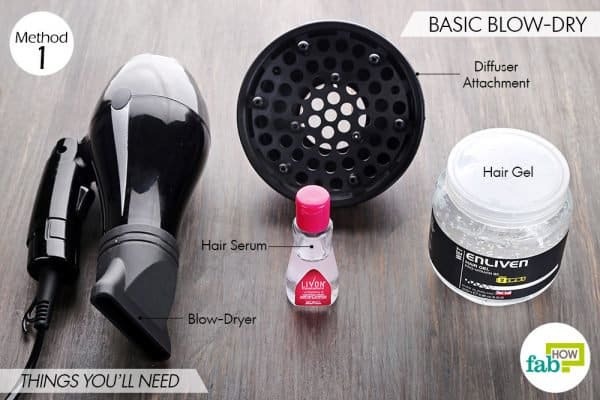 Keeping these tips in mind, you can now proceed with learning how to blow-dry curly or wavy hair like a Pro. First, we’ll show you how to do a basic blow-dry, and then we’ll show you the easiest way to transform your hair from wavy/curly to straight. Curly hair is difficult to manage and prone to breakage if exposed to excessive heat. The key to blow-dry curly or wavy hair is to use less heat and a slow air setting. If you have naturally curly or wavy hair, opt for a hairdryer of 1400 watts or less with multiple heat and speed settings. Also, look for one that has a diffuser attachment designed specifically for curly hair. 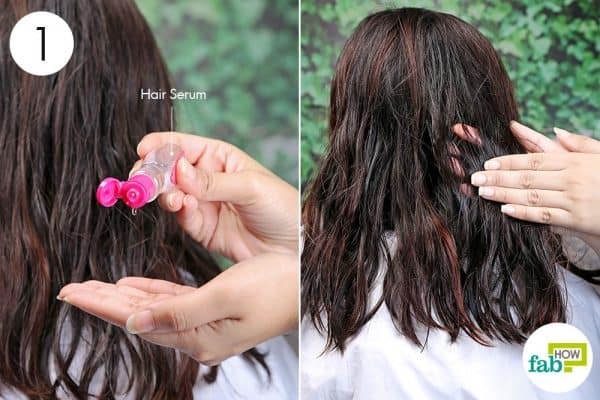 Work a coin-sized amount of hair serum throughout your wet hair. 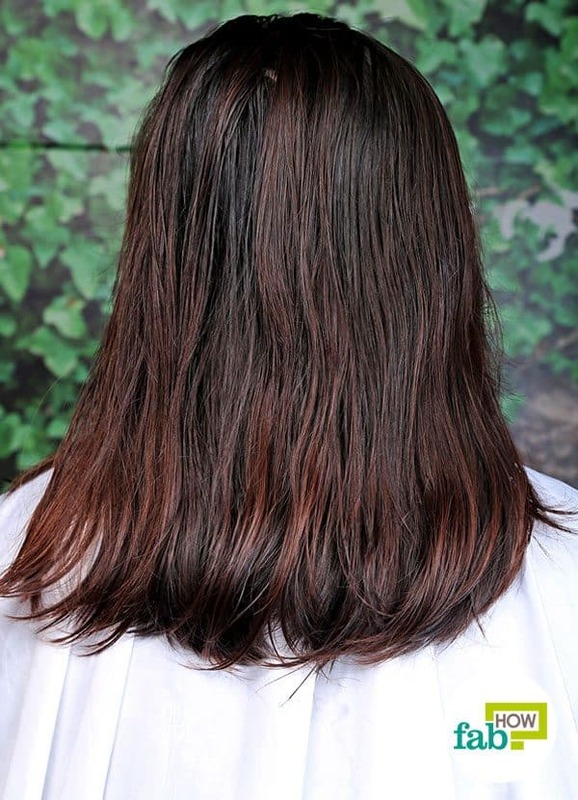 Avoid the roots, as it can make your hair look oily. Focus more on the tips, which are the most prone to breakage and split ends. Set your dryer on low-heat and slow airspeed. 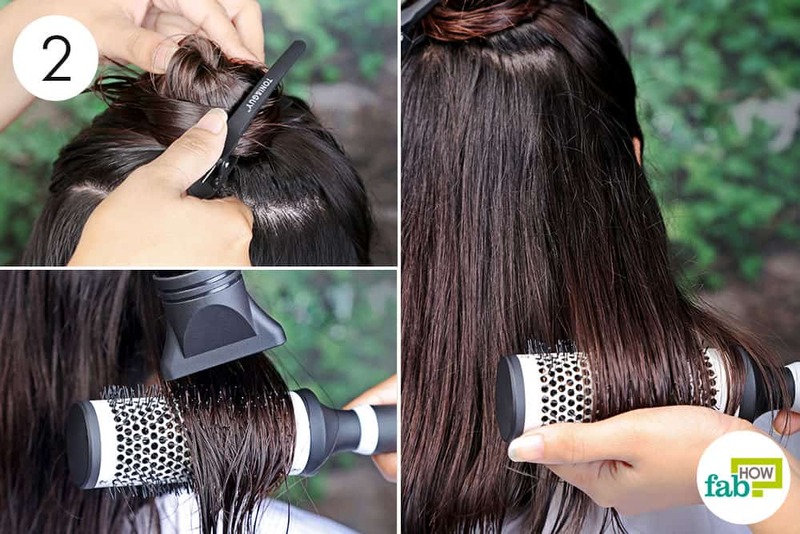 Hold the blow-dryer right under your hair tips and begin blow-drying the tips. Lift the ends away from the diffuser as your curls dry. Move the diffuser around on the middle sections of your hair, lifting up small sections one at a time. Blow-dry the crown section as well. Rub a pea-sized quantity of a curl-defining gel between your palms. 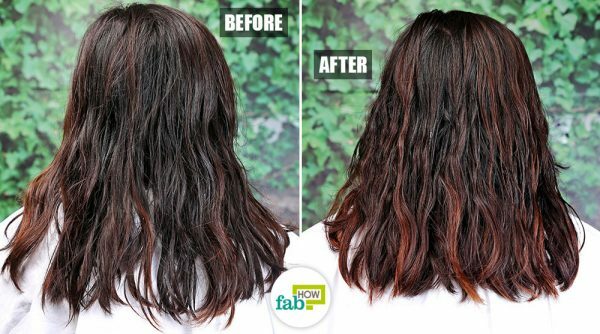 Coat your hair strands with it. 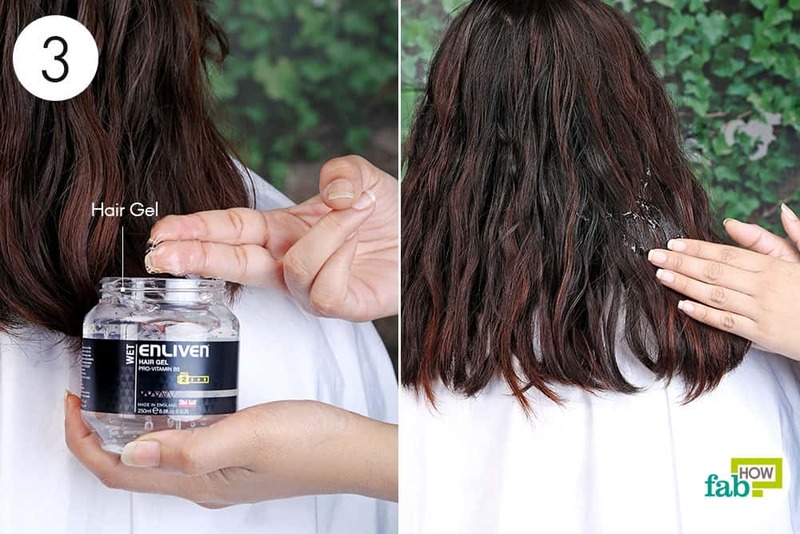 Massage some gel on the roots as well, and your curls will stay put throughout the day. While curly or wavy hair looks fun, they are difficult to manage. Blow-drying them straight is a pain in itself. But with the right technique and tools, you can transform your frizzy locks into the silky straight hair. To blow-dry curly or wavy hair to straight, you need a hairdryer of 1800 watts with the concentrator attachment. You will also need hair serum to protect your hair from the heat and a vented round brush to straighten the waves and curls. Here we show the technique on wavy hair. It is the same for curly hair. 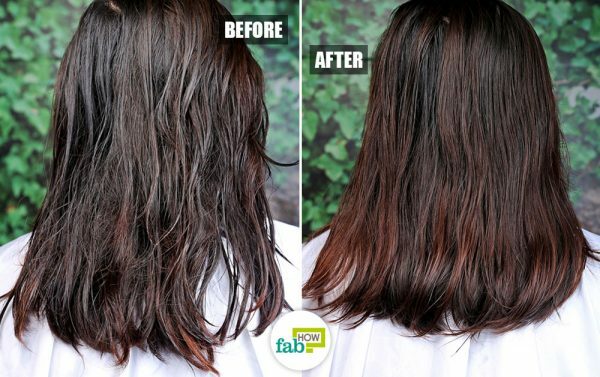 Towel-dry your hair and apply hair serum all over your hair. 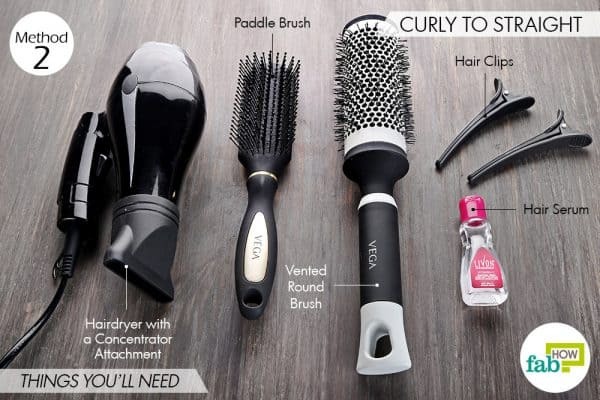 Use a paddle brush to detangle your hair. Partition the crown section of your hair and tie it up in a bun. Secure the bun with a hair clip. 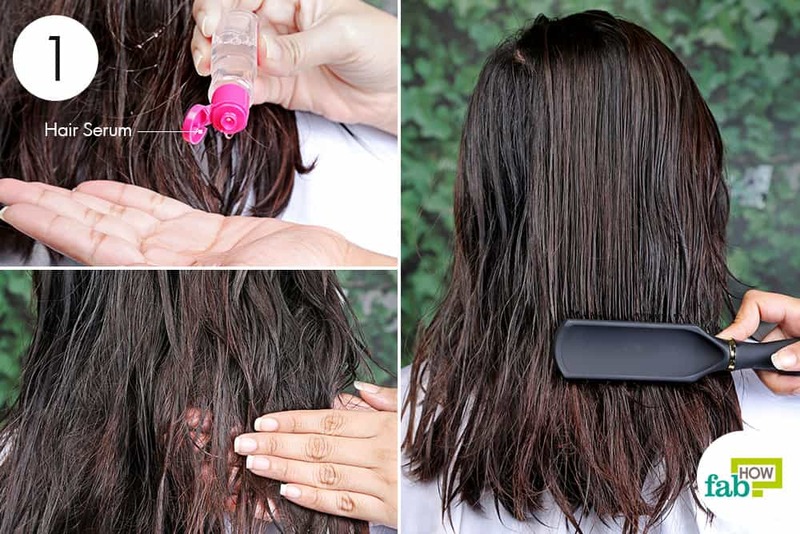 Lift up a small section of your hair with the vented hairbrush, as shown in the image. Set the hairdryer on the medium heat setting and high airspeed. Hold the hairdryer close to the hairbrush. Begin with the midsection and blow-dry your hair moving toward the tips. As you straighten the curls, also pull the hairbrush downward toward the tips. Once the strands are sufficiently straight, curl the tips inward. Turn off the dryer but continue to hold the tips over the brush for 5 to 10 seconds to allow them to set. 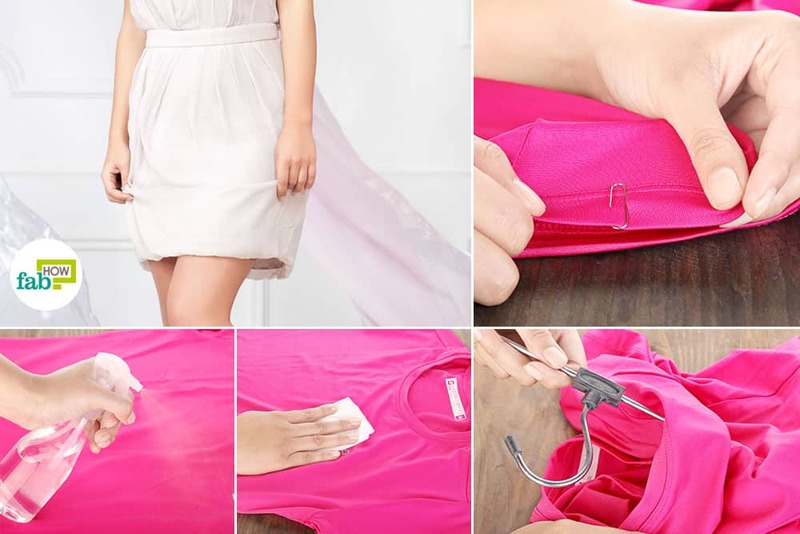 Follow this procedure to blow-dry the remaining lower sections. Open the bun and blow-dry the crown section as well. Avoid shampooing your hair too often. It can dry out your curls and promote breakage. 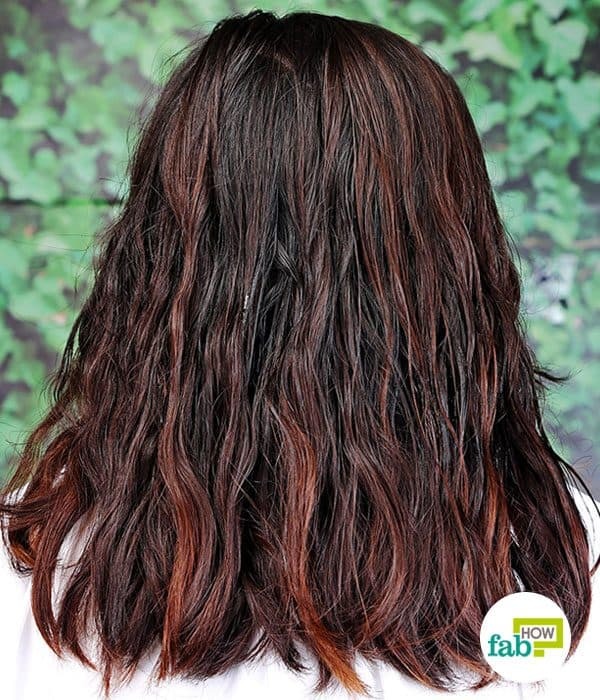 Washing your hair once or twice a week is enough for curly hair. To prevent tangles, shampoo your hair taking small sections at a time. Avoid using hot water to wash your curls, as it can dry out your hair. Use a microfiber towel to avoid frizz due to friction with the fibers in other types of towels. Use a satin pillowcase to avoid friction in your hair while you sleep.